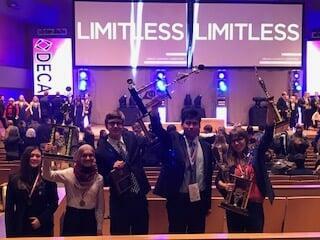 13 students from Mounds View qualified to compete at the Minnesota DECA State Career Development Conference and Competition in Minneapolis, MN, March 4-6, 2018. Competitors included: Hufsa Ahmed (10), Deepta Jashti (10), Ian Boyles (11), Benjamin Gardner (11), Chihiro Gustafson (11), Justin Reiling (11), Amy Helgeson (12), Jared Herbert (12), Chaz Nelson (12), Levi Scott (12), Aman Rao (12), and Alisa Samadani (12), Congratulations to all competitors for your hard work in making it to this level of competition. In addition, Hufsa, Chihiro, Amy, Justin, and Alisa moved on the final round of competition, held in April in Atlanta, Georgia. These students will be competing against 20,000 top students from around the world at the International Career Development Conference – the pinnacle of DECA competition. Best of luck to you in the next round! DECA prepares emerging leaders and entrepreneurs for careers in marketing, finance, hospitality and management. DECA enhances the preparation for college and careers by providing co-curricular programs that integrate into classroom instruction, apply learning, connect to business and promote competition. 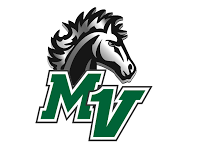 The Minnesota High School Association is part of a larger organization comprised of 215,000 members from all 50 United States, the District of Columbia, Canada, China, Germany, Guam, Mexico, Puerto Rico and Spain. For more information, visit http://www.deca.org.